"The mood during both the OutDoor Demo and the Expo was incredibly optimistic," said Camisasca. 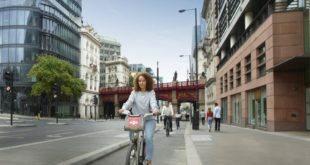 "In particular, manufacturers and retailers were talking about swelling interest for commuter, urban and electric and folding bikes, and a rise in people that are using bicycles to ride to work, a quick trip to the corner grocery store or an outing with their family. This new consumer segment is providing economic opportunities for the entire industry." 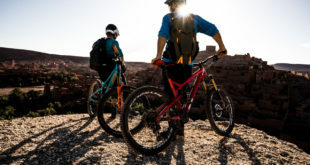 While the majority of booths continued to focus on the enthusiast market, a growing number of companies showed an expanded line of commuter, urban and lifestyle bikes and accessories. 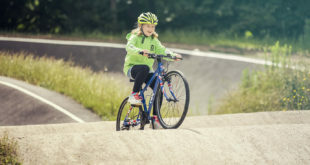 This included several new exhibitors specifically focused on the urban market along with new bikes and product lines from established brands such as Dahon, Electra, QBP, Raleigh, Schwinn, Shimano, Specialized and SRAM. In order to demonstrate business opportunities with this new category, Interbike added a new show feature by debuting the Urban Legend Fashion and Art Show presented by Momentum Magazine. Models rode along a path that weaved through the audience showing off the form and function of the highlighted products. Pix here. Two books are also close to publication, the US Bike to Work Guide and the US/UK Bike to Work Book. 550 members of the media attended Interbike, a double digit increase compared to the previous year. Many of the journalists – from the LA Times, Men’s Journal, USA Today, Wall Street Journal and Wired Magazine – covered cycling to work stories. The 2009 Interbike starts with the OutDoor Demo (September 21-22, 2009 in Boulder City), followed by the indoor show, September 23-25 at the Sands Expo and Convention Center in Las Vegas.